At Steve Weiss Music, we get asked all the time about replacing bar cord on a marimba, xylophone or vibraphone. Jeff Phipps, our Educational Department Manager, wrote the following article. Please contact him via the Educational Department portion of our website if you need any personal assistance deciding on what bar cord to purchase or anything else percussion or if you need any additional information. Make sure you get the proper length replacement cord. We can get you that for all brands and models if you don’t already have it. You’ll find two springs attached to one another on one end of the instrument. Unhook them and untie the old cord from the springs. Don’t lose the springs of course. Pull the old cord out, leaving the keys in place. Get the new cord and run a cigarette lighter underneath the last 2 inches of both ends of the new cord, one end at a time. This will keep it from fraying as you try to thread it through the keys. You don’t want to light it on fire, just heat it up enough to start it melting and getting more firm. Don’t burn your fingers. Match the two ends up like you would shoelaces and start threading them through. One end through one hole, the other through the other hole. Once you get a few keys done you can go back and make sure the cord is laying in the little saddle posts between each key properly. Once you’ve threaded the cord through all the keys, go to the high end of the instrument and be sure to loop the cord over the posts that are parallel and to the right the highest bar. This will anchor them in place before you reattach the springs on the low end. Make sure all of the keys and cord are sitting where they should for normal playing. Once they are, you’ll need to go to the low end and pull on the cords to make them tight and tie each end to the springs, just re-doing what you un-did earlier. Don’t forget to put them over the posts that are parallel to the left of the lowest key before reattaching the springs. The only tricky part is that you have to tie the springs on at the right place on the cord ends so you get the right amount of tension. You should have to muscle it a bit to get the springs to re-hook to one another like they were in the beginning. If it’s too loose you’ll need to untie and move the knot/connection point between the spring and cord, closer to the keys. This might take some trial and error until you get the tension right. The tension is right when the cord is tight and provides the right amount of suspension so the bars are not touching anything underneath them, even when played on. Meinl Cajons have been extremely popular lately, so we decided to create a new sale for them. We’re currently offering a FREE Meinl Snare Bongo Cajon when you purchase the Meinl Black Makah Burl String Cajon. This model cajon happens to be one of the best selling cajons available, and the freebie snare bongo cajon completes your setup. The cajon sale ends on March 10th and is only available while supplies last. The cajon has been used for centuries in Afro-Peruvian music, and more recently in Cuban and flamenco music. The popularity of the cajon in pop music has exploded in the USA in the last decade. It is being used as a drum set replacement in acoustic settings, integrated into hand percussion and drum set setups, played with brushes and can be heard on many popular recordings. One common use of the cajon is to add a bass drum pedal, snare drum, and hi-hat to create a portable drum set like instrument. Meinl has been instrumental in the growth of the popularity of the cajon, which is why we chose to partner with them on this incredible sale. HAPI Drums (Hand Activated Percussion Instrument) are melodic steel tongue drums resembling a Hang Drum, Tank Drum, and many other similar products. What sets HAPIs apart from these and other drums is the production quality, overall tone, and pricing. They have also been featured on the soundtracks for major movies and TV shows, and are played by some of today’s leading percussionists. A few years ago when I was looking into purchasing some kind of melodic hand percussion instrument, I checked out many different types before deciding on an Original HAPI Drum (and later purchasing a second in a different key). The HAPI drum is sturdy and well made, not too heavy, with an optional soft case for travel. The tone is what really sold me on this drum. It has a warm, full sound, with a very solid, precise, and focused pitch – it doesn’t sound like you’re banging on a propane tank – and will never need to be re-tuned like other brands do. The overtones are very controlled, and because of the way the notes are arranged on the drum, when one note is struck the others ring sympathetically with it, adding to the texture for an overall “colorful” sound, with many percussive as well as melodic qualities. The drum can be played with hands/fingers or mallets. 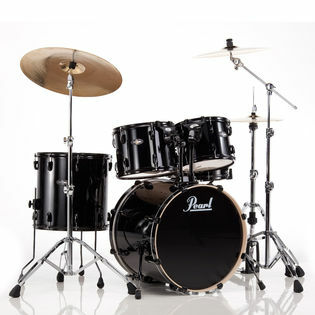 The pricing is also very reasonable for this type of drum. With Hang/Halo Drums being difficult and pricey to get a hold of and even selling on ebay for thousands more, I quickly narrowed down my options to the HAPI Drum and maybe one or two other brands. But with the scale options, ease of ordering, and especially being able to hear and see demos of it, the HAPI Drum ended up on the top of my list. The way the notes are arranged on the HAPI Drum is another interesting feature, as I briefly mentioned before. By placing a higher pitch next to a lower pitch all around the drum, this helps the sympathetic ringing to create the overall tone. The scale (ascending and descending) is arranged to be very easy to play, too. The Original and Slim HAPI Drums have eight notes of a pentatonic scale, which is great for non-musicians or hobbyists to be able to take it right out of the box and make some beautiful music without spending years practicing technique. That being said, I have composed a few pieces on my HAPI Drums using techniques borrowed from tabla and latin percussion playing, with more musical concepts involved, meaning that any level of player will instantly feel right at home with the HAPI Drum and enjoy what it has to offer for many years. It also sounds great with any other instrument, and comes across sounding great on a recording! The HAPI UFO is a different take on the other two styles, as it only comes in a C Major diatonic scale in the Hammered Copper Finish, with 11 notes instead of eight. The Original HAPI Drum is available in E and D, Major and minor pentatonic scales with the Aqua Teal Finish (Indigo Blue and Deep Purple available by request at no extra cost). The HAPI Slim Drums are available in C Major, A Major, A minor, F Major, F# minor, G Major and G minor pentatonic scales, with a Black Finish only. All HAPI Drums come with a pair of HAPI Drum mallets and 3 (removable) rubber feet attached the bottom of the drum so it doesn’t slide around on certain surfaces. Soft cases sold separately (recommended!). The HAPI Drum has become one of my favorite instruments to write for and jam with in many musical settings, and I look forward to hearing more of it through Steve Weiss Music. Steve Weiss Music is excited to announce that we recently added Marimba One Marimbas to our selection of concert percussion instruments. Three five-octave models ranging from $11,500 to $14,550 are available, in addition to our new Marimba One Custom Marimba Builder which offers a choice in frame type, range, optional bar upgrades and more. All of our exclusive Marimba One models feature an aged-copper resonator color that can not be purchased anywhere else. 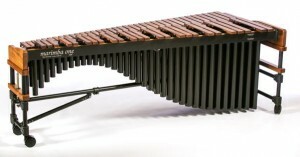 Marimba One was founded by Ron Samuels in Arcata, CA in the early 1980’s. He spent his next years acquiring the woodcraft and design skills that would enable him to make a world class instrument. All Marimba One marimbas are handcrafted in the USA and feature an industry leading warranty. 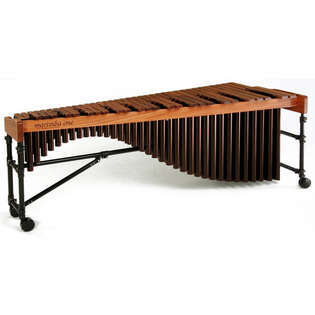 Marimba One marimbas are used all over the world, played in prestigious colleges and universities, professional orchestras and high schools, and by classical and modern soloists and ensembles. Base models will be in stock for immediate shipment, while a custom marimba will be available in 4-6 weeks.